For years we've heard the anxious refrain. Golf is struggling. It's too hard, too expensive and takes too long. Sure, the economic downturn has affected the popularity of our beloved pastime. So has our shifting culture. The days of Dad playing 18 at the club every Saturday and Sunday morning are gone. But here's the thing: In many ways -- 59, to be exact -- golf has never been stronger. Innovations have only enhanced the things we love about the game, a round of golf is about $8 cheaper than it was a decade ago, the number of munis has reached an all-time high and more than three quarters of America's tracks are now public-access. As for high-end play, there's the Bandon Effect: the blossoming of dream destinations inspired by the success of Bandon Dunes in Oregon. And remember when "golf fitness" was an oxymoron? Not anymore. It's transforming the game. Walking has become far preferable to riding. Plus, the Tour's rivalries have only grown more thrilling as the sun sets on the Tiger Era. Golf isn't as pricey as you might think, according to the PGA of America. The average cost of an 18-hole round 10 years ago was about $34 (in today's dollars). Now it's a shade under $26. Check out the 360fly. This cool digital camera shoots 360° horizontal and 240° vertical footage with a single lens. Paired with a superb smartphone app, the 360fly lets you watch, edit and share videos from the range to the course. Just drag and swipe to reveal the full 360° perspective, perfect for dissecting your swing. $400; 360fly.com. Fantasy sports outfit DraftKings hosts online tournaments all season long. With entry fees from a few bucks to several hundred, owners get 50,000 fantasy dollars to select six players whose value is based on past results. (Russell Knox was a bargain before his HSBC Champions win.) Best bet? Combine bold pin-hunters like Justin Thomas and Brooks Koepka with safer, consistent players such as Matt Kuchar and Dustin Johnson. Give it a go—the guy hoisting a comically large cardboard check could be you. “I discovered the single-plane swing while reading Homer Kelley's The Golfing Machine. But it was difficult to master with my wedges through 8-iron, because they were different lie angles. So I thought, Why not make them all the same length and one lie angle? I took an old set and turned them into single-length clubs. They looked really bad, but they worked. Now I have one swing, one motion—and it's held up under the gun for five years. My swing's not for everybody, but it's definitely for me." A whopping 80% of U.S. courses are public-access, says the USGA. You can play your local muni on Saturday afternoon and watch every shot at Augusta on Saturday night. 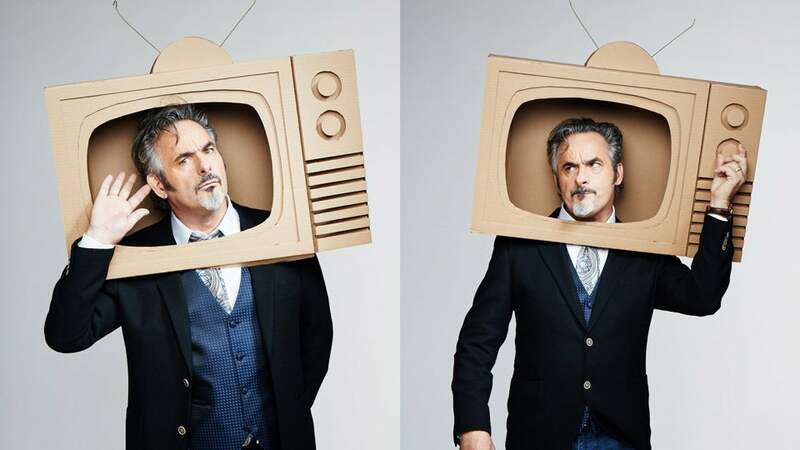 David Feherty, Johnny Miller, Brandel Chamblee, to name a few. As for Joe Buck—well, give him time. Farewell to cut-rate training aids. (The Swing Jacket made us reach for a straitjacket.) We like DST Golf. Its mission? Perfect your impact position using Delayed Strike Technology (DST), which features practice clubs with curved shafts and ultrawide soles that replicate the ideal impact angle. This helps you lead with your hands through the hitting zone, a key element for pure strikes. $100 each; dstgolf.com. You can't do much better than Bandon (below), Streamsong and Kohler. Bill Coore and Ben Crenshaw are at the peak of their powers, as witnessed by Nova Scotia's Cabot Cliffs, 2015's best new course. "There's a trend toward playing fewer rounds but making them count," says Ben Cowan-Dewar, managing partner at Cabot Cliffs. "We see people who play 36 a day for three days to maximize the travel experience. The trips are shorter, but there's no less interest in traveling to go play a great course." The end of the U.S. travel ban clears a path for golf pilgrimages to Cuba. A popular PGA Tour stop until Fidel Castro seized power and bulldozed most of the island's courses, Cuba saw just two tracks survive: a quirky nine-hole layout in Havana, and a seaside resort course in Varadero where Palmer, Casper, Demaret and other giants battled in the 1950s. Think of them as private clubs gone public. Golf trips to Euro destinations like St. Andrews (below), Ballybunion and Royal County Down are a lot more affordable, thanks to the strong U.S. dollar. "Interest is sky high," says Donncha Hurley of tour operator Thru the Links Ltd., which books golf trips to Ireland and the U.K. "Demand is outstripping supply for the "Holy Grail" tee times." The at-home viewing experience has never been better, thanks to enhanced coverage on services like DirecTV, plus high-tech breakthroughs like Shot Tracker and microphones in the cups, Fox's best innovation from the U.S. Open at Chambers Bay. Meet the Elevens, the 2011 high school grads tearing up the Tour. Jordan Spieth walked the aisle in "11, as did Rookie of the Year Daniel Berger and Tour winners Emiliano Grillo (Frys.com Open) and Justin Thomas (CIMB Classic). Stanford grad Patrick Rodgers and Georgia Tech's Ollie Schniederjans fill out the field. The youngsters trash talk on Twitter over who's longest off the tee and thinnest on the head. (Spieth and Thomas are neck and neck, or…scalp and scalp?) The rest of the Tour is laughing, too—nervously. Our tester’s typical 6-iron shot (left) became much more accurate (right), without a swing change. All it took was a good clubfitter and the right sticks. Home simulators can almost out-real real courses. Jordan Spieth used his Full Swing simulator to play the Old Course at St. Andrews ahead of last summer's British Open, and it worked out pretty well. fullswinggolf.com. SoCal-based brands like AG Green Label, Linksoul and Travis Mathew make it easy to transition from the course to the club and beyond. Blending traditional golf looks and fabrics with multifunctional performance elements—like Linksoul's "Boardwalker Short," a polyester-spandex blend suitable for both golf and surfing—these brands showcase a modern vibe, and are sported by their various Tour ambassadors: Camilo Villegas (AG Green Label), Geoff Ogilvy (Linksoul) and Keegan Bradley (Travis Mathew). "At the five private clubs here, the initiation fees have been as low as zero," says Dennis Tiziani, owner of Cherokee Country Club in Madison, Wis. "It's about inclusion, not exclusion." Thanks to Luggage Forward, hauling clubs to the airport is strictly for suckers. luggageforward.com. Children get in free to many Tour events, and members of the American Junior Golf Association are comped at all LPGA stops. Held at Augusta, the Drive, Chip & Putt Championship continues stoking golf dreams for boys and girls ages 7 to 15. The series doubled its participation in 2015, its second year, and the televised finals help kick off Masters week. Access your inner Finchem and head up your own tour. Set up tourneys with pals and monitor real-time leaderboards. It doubles as a range finder and a performance tracker, revealing where you're losing strokes. vpar.com. This cool, addictive video game will have you feeling like you're making real-life birdies on some of the greatest courses in the world. wgt.com. Free and easy to use, this app offers crucial backup in dicey rules situations. Rules Guy never had it so good. usga.org. Log scores and track your handicap on just about any course. You can even receive a revised index twice monthly. It's good to be prepared when facing sandbagging accusations. thegrint.com. PGA Junior League Golf celebrated nearly 100 percent growth in 2015. With 13,000 new players, a total of 30,000 boys and girls played on 2,500 PGA Junior League teams nationwide. And the number of participating courses reached 1,700, almost half of which were public access. The USGA/LPGA Girls Golf program skyrocketed from 4,000 players in 2010 to about 50,000 in 2015. The number of high schools with varsity girls' golf teams rose 17 percent over the past decade. Overall, the USGA reports that female participation has increased yearly since 2011 and stands at 5.7 million players. "It's never been easier for girls to pick up the game," says Lexi Thompson, a six-time LPGA winner. "On tour, we have more tournaments and on better courses. Our future is looking brighter than ever." Boise, Idaho's Warm Springs Golf Course offers Family Nights—just $10 per head for the clan to play after 4 p.m. Plus, many tracks embrace the use of composite tees, varying distances hole to hole by alternating from the back tees to the more forgiving forward tees. Now everyone in your group can find that happy medium and play together, like Steve Stricker. "It's a family thing," the 12-time Tour winner says. "My wife, Nicki, and I play, and our 16-year-old and 8-year-old join us to hit it around. We all enjoy it." 34. WE'RE WITNESS TO THE MOST ATHLETIC SWING EVER! At 6'4" and a sinewy 190 pounds, Dustin Johnson's physique is built for power. In 2015, he launched drives 318 yards on average, and he can be crazy straight, too. 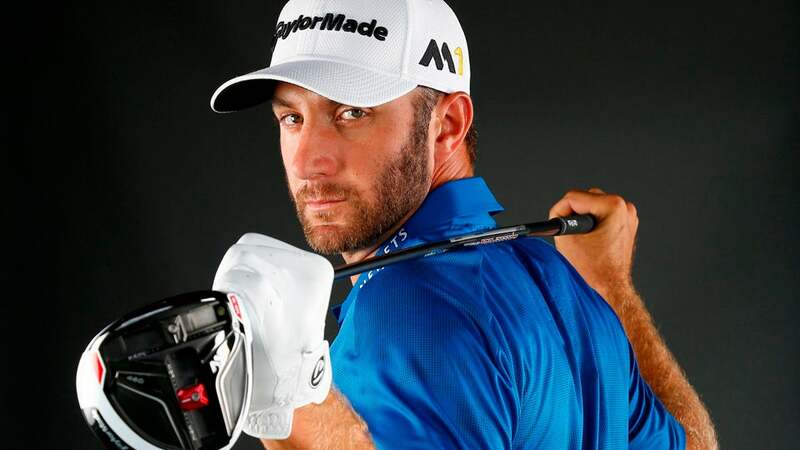 "DJ works his tail off in the gym," says his coach, Allen Terrell, who runs the Dustin Johnson Golf School in Myrtle Beach, S.C., "but his power is also rooted in his balance." It starts at address. "A good setup helps you stay balanced through impact and the finish, which paves the way to swing speed." Copy this address and prepare for liftoff. 2. Flare out both feet. You'll turn your hips and shoulders much farther. 3. Widen your stance so that your hips, knees and ankles stack on top of each other, and push your knees out slightly. Now you're balanced, connected to the ground—and ready to crush it. The American Junior Golf Association, the country's preeminent junior tour, has gone from 5,166 members and 71 tournaments in 2008 to 6,445 members and 117 tournaments in 2015. Get ready for an influx of talent like we've never seen. GolfTEC, which provides lessons and custom fittings, is adding a slew of new PGA professionals. Meanwhile, PGA Tour Superstore has launched a 45,000-square-foot shop in Southlake, Texas, and it plans to double its U.S. presence by 2018. Golf's inclusion in the 2016 Rio Olympics (after a 112-year absence) will make for great viewing and heighten the sport's profile around the globe. 38. THE PANTS ARE BACK! John Daly joins the Champions Tour on April 28. For golfers who like to ride, there's a new generation of tricked-out luxury carts, like the lithium-battery-powered Garia golf car. garia.com. Ben Crane: “Because of the Tiger Effect, pros are some of the best athletes in the world. We're the best Tour we've ever been." Will MacKenzie: "I used to worry about the game without Tiger. Not anymore. I played with Rory when he shot 61 at Quail Hollow [in 2015]. He made it look easy, and hundreds of people were following us, creating tunnels between the greens and the tees. I was like, golf's in better shape than I thought." Bill Haas: "Golf is still a great guys' day. What else can you do where you're outside for four hours with your buddies, or with a client without it feeling like a meeting?" Sean O'Hair: "I see golf becoming more, not less, popular with young people, and social media helps with that." Davis Love III: "Amateurs have access to as much technology as we do. You used to have a guy trained to do the whipping on your driver. Now any [teacher] can get you on TrackMan and get you the right spin rates and launch angle. That helps everybody. Today, golf is rocket science." At Exos Golf Experience, where top pros hone their form and their physiques, it's no pain, no game. The USGA and R&A have simplified the Rules, easing the penalties for infractions like hitting an oscillating ball or signing an incorrect scorecard. "The fewer rules you make, the better," says Dennis Tiziani, owner of Cherokee C.C. in Madison, Wis. "Let "em play golf." Stats gurus—like our own Mark Broadie—have made it easier for Tour pros and average Joes to shoot better scores. Consider: 18-handicappers leave 16 percent of their 10-foot putts below the hole, while Tour pros leave only 7 percent short from that distance. "Improving your distance control on putts is a great way to lower your score," Broadie says. "The USGA has limited the driver's size and face thickness," says Rob LaRosa, a Cool Clubs master fitter. "But companies are making big advances in fairway woods and utility clubs." A no-no in drivers, spring-like effect is legal in other woods and in hybrids, LaRosa says, so take full advantage! "These clubs are more stable and forgiving than ever." 49. CAN'T READ GREENS? AT LEAST YOU CAN READ BOOKS! Some great new golf titles—including Lucky Boy, the coming-of-age golf novel by GOLF's own Cameron Morfit—hit the shelves this year. Claudia Mazzucco tees off with Legendary Lessons, and the USGA's Official Illustrated Guide to the Rules of Golf offers a new vision of the game. Many great modern courses, such as Bandon Dunes, Streamsong and Gamble Sands, were designed to be walking-friendly. And hoofing it for 18 holes is akin to a five-mile hike, burns up at least 500 calories and will log you about 10,000 steps. Jason, Jordan and Rory are playing musical chairs atop the world ranking. But how do they stack up against Arnie, Gary and Jack (below)? 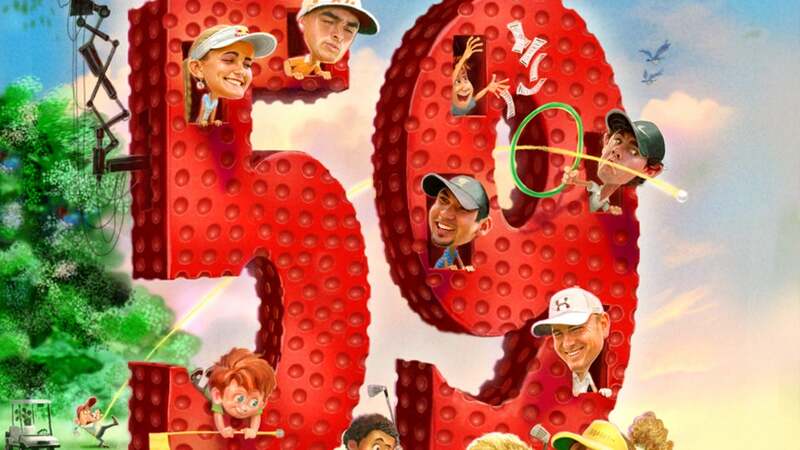 New Big Three: J.D., Rors and…um, Jors? WINNER: Old Big Three. What's in a nickname? A lot. Old Big Three: Palmer could befriend Ebenezer Scrooge. New Big Three: Who has the biggest smile? Three-way tie. WINNER: New Big Three. Good luck finding a trio of nicer guys. Old Big Three: Player was dapper, Palmer old-school cool. New Big Three: Today's pros are scripted down to their shoelaces. WINNER: Old Big Three. By the length of a white belt. Old Big Three: Jack's putter ruled, but we're Bearish on his chipping. New Big Three: Day has deft touch; Spieth's putting from 20' to 25' is surreal. WINNER: New Big Three. They're complete players with few flaws. Old Big Three: Jack and Arnie hit 300-yard drives with Stone Age tools. New Big Three: Big hits? Big whoop, with today's gear and conditioning. WINNER: Old Big Three. Jack bombed it by Arnie—and the King was long. The Oldies, by a Player sit-up! But check back in a decade or two. Golfers are responsible for $3.9 billion in charitable donations annually, mostly through fund-raising at amateur tournaments. According to the USGA, that's more than the NFL, MLB, NBA and NHL combined. So much for low numbers. There's a simple move you must make for bigger drives. In his controversial new book, The Anatomy of Greatness, Golf Channel analyst Brandel Chamblee reveals what legends like Snead, Nelson and Nicklaus knew—something most teachers won't tell you. Get ready to launch it longer and straighter than ever.